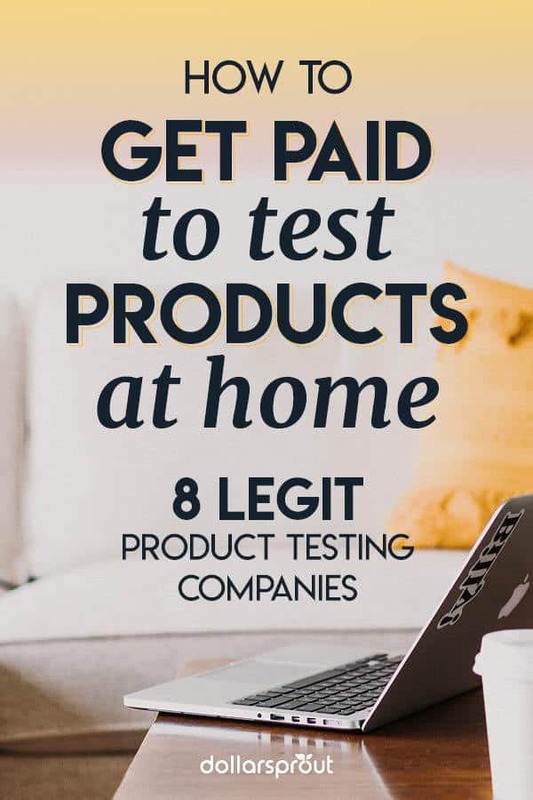 Did you know that you can actually get paid to test products at home? Product testing can be both fun and rewarding. As crazy as it sounds, product testing is a real thing. Sometimes companies will even go as far as shipping you a physical test product for you to use and enjoy. The concept is similar to that of taking paid online surveys, except there’s usually one big difference. At the end of the testing period they’ll often let you keep the product or service for free (in exchange for an honest review). Companies will only do this because they need the information — to make improvements — before they can push the product to market. There’s no sense in companies spending a ton of money on a product launch if the feedback they’ve gotten during product testing has been largely negative. They first go back to the drawing board and make improvements based on the reviews they’ve received. Now, if you’re a DollarSprout regular, you might already be familiar with paid market research (also known as paid beta testing). If you’re not a regular, market research is basically anything that involves providing your opinion to a company in order to help better their products. Notably, product testing is different from strictly survey-taking in that companies will typically ask you to actually use a product or service in a very specific manner (as opposed to merely asking questions about it). 1. Downy sends me a sample of their new fabric softener and asks that I use it in a laundry load full of extra stinky gym clothes (my yoga gear would be a world-class test). 2. I report back how happy I am with the scent, softness, and so on of my laundry in an online survey. 3. Once done, Downy may send me a gift card, worth a few dollars, or maybe a coupon that significantly discounts a future purchase. Massive brands you know and love need a large number of individual opinions. It helps them piece together a big picture understanding of how people view their product’s performance. Now, to be entirely clear, you won’t always get an actual physical product to try. Sometimes it will be something you get in the mail. Other times they’ll ask you to try a music streaming service, a new iPhone app, or some other similar digital service. How much you get paid to test products will largely depend on the number and types of programs you choose to join — the more programs you join, the more ways you’ll be able to make money testing products. The best way to get started is to register for several sites that offer paid product testing gigs. Each site will likely require you to fill out a short registration survey highlighting key demographic information. This will help companies match you with products to review. Upon completion, you will submit your thoughts in exchange for cash, gift cards, or the opportunity to keep the product for free. Furthermore, there are hundreds of reputable brands looking for users to test products and give their honest feedback. Our list features legit product testing with 8 legitimate companies looking for product testers right now (so you can get started as quickly as possible). Note: Since these sites will frequently send emails when a new opportunity arises, we recommend making a new email account. Alternatively, consider using one where you don’t mind receiving several promotional-type emails each day. Ready to Start With These 8 Legit Product Testing Opportunities? Let’s get started reviewing these legit product testing opportunities one-by-one. If you’re wondering how to get paid to test products at home, start by registering for a site like American Consumer Opinion (ACOP). ACOP boasts over 7 million users worldwide and they’ve paid out over $30 million in incentives to people just like you and me. Surveys ask members’ opinions on things such as advertising campaigns, the economy, ideas for new products, and more. When you become a panel member, you can expect to participate in several surveys per year. Each survey typically takes around 10 minutes with short, easy-to-answer questions. Every month or so you’ll be asked to take a screener survey so they know which opportunities to send your way. For each survey you participate in, you’ll receive points that can be cashed out via PayPal. Registration is easy, and you can create an account by syncing your Google or Facebook login with their dashboard. Text alerts! They offer notifications about new opportunities in a way that most of us would prefer. Donation options. Instead of cashing out through PayPal, you can donate your rewards to your favorite charities. Wide variety of topics. Snack food, tanning lotions, hip retailers — ACOP works with a wide array of Fortune 500 companies, so you never know what exciting new product or service you may get to try. If you’re feeling lucky, you can use your points to enter various sweepstakes for the chance to win cash and other prizes. Vindale is somewhat unique in that they will only reimburse product testers in cash. You won’t get a physical product to keep, but getting cold hard cash isn’t terrible either. They also offer a $2 sign-up bonus to new users. It’s not a lot, but between that and earning (up to) $50 per survey, Vindale is one of the more lucrative product testing sites out there. Users apply for available surveys and answer a few short questions to see if they’re eligible. If selected, participants will answer questions about digital services or physical products they’ve used in the past. They can then withdraw awarded cash bonuses via check or PayPal. It’s pretty simple, and that’s the way we like it. There is a $2 sign-up bonus for new members, surveys pay out as much as $50, and all earned rewards are paid out in cash. You’ve probably heard of Nielson TV ratings. They’re the company that, for several decades, has polled American consumers about what, how, when, and why they watch certain shows. Their reputation has made their name practically synonymous with consumer opinions (aka market research). Today, Nielson operates a handful of sub-brands. One is the National Consumer Panel (NCP), which functions in partnership with iRI, an international marketing research and data analytics company. Their joint venture is home to the Homescan program. When you sign up to become a product tester with NCP you’ll receive a handheld scanner or access to their mobile app. When you go shopping, scan the barcode of the products you buy to earn points towards gift cards and merchandise. You can also participate in surveys to earn additional points. Plus, you’ll be automatically entered into quarterly, monthly, and weekly sweepstakes to win gift cards, bonus points, and cash. Easy registration. It took me less than 5 minutes to fill out the form and the questions were pretty painless. Excellent reputation. I decided to apply because I trust Nielson due to their reputation. (To me, the notion of joining admittedly feels fun because Nielson is so iconic.) I was confident their compensation would be fair. Social proof. If their Facebook page is any indication, the vast majority of their panelists are pleased enough with their professionalism and compensation that many appear to be long-time members. Registering adds you to their database for review. Generally, this means you will be placed on a waitlist. They recruit periodically for certain geographic areas and demographic groups. That means they may need me today or tomorrow, next year, or hypothetically maybe never. Pinecone Research is another sub-brand Nielson operates today. This site mainly focuses on product tests for items which haven’t yet been launched to the general public. Pinecone Research pays you via points in exchange for completing questionnaires about the merchandise they send to you. Those points can be redeemed for cash or prizes. They offer a wide range of gift card options, including virtual Visa cards, and brand-name merchandise. Sweepstakes are also a part of the Pinecone Research overall compensation strategy to thank you for your time. Super clear pay. Earn a flat $3 per product test survey. Reputable company. Nielson ownership suggests reliability and professionalism. Panel positions aren’t always open. If your household information doesn’t match what they’re looking for at the time, you’ll receive a notification that there are no openings available to you. They’ll keep your information for a few weeks in case a spot opens up, but if it doesn’t, you may need to apply again in the future. Everybody has heard of Johnson & Johnson — they’re one of the biggest brands on the planet. They own Aveeno, Neutrogena, Clean & Clear, Le Petit Marseillais, BeBe, Roc, Lubriderm, and a slew of other brands you probably have on your bathroom sink. JJ Friends & Neighbors program allows you to test products for free and keep them — all before those products are even launched into the market — pretty cool, right? That might mean smelling fragrances, trying cosmetics (makeup), or other self-care products. Their site is sparse on payment details, but Prepaid Visa Gift Cards seem to be the norm. Other opportunities include participating in online surveys, discussion groups and forums, focus groups, and various panels. It’s inclusive. Anybody can join; they email you if you’re eligible to participate in a test. High trust. As a reputable company, you can expect to be treated professionally and fairly. McCormick is widely known for their premium spices and seasonings. If the idea of testing food sounds appealing, this product testing panel might be a good fit for you. The first step is to apply to be a McCormick panelist. Once in the database, you can expect to receive periodic emails recruiting for studies. They note studies fill up quickly; you’ll want to select a participation time when the options land in your inbox. Home tests run between 30 minutes to 2 hours and pay $10-15 each in the form of Amazon gift cards. I like to save my rewards and use them for Christmas shopping at the end of the year. It’s a huge budget saver! A unique twist. Most product testing companies only offer reviews for household items, but McCormick’s food and beverage products put a nice spin on user testing. Yum! Generous compensation. Depending on the length and compensation of the study, you could make up to $30 per hour. McCormick also seeks out participants for in-facility testing at their location outside of Baltimore in Hunt Valley. These tests typically last between half an hour and two hours and pay $30-100 each. Website testing is absolutely critical for digital businesses. If you’re good at noticing little details that are off here or there when visiting a website, you might have a future in product testing for digital powerhouses. The premise is straightforward — create an account, download their software, visit websites or apps and answer questions about your experience. Tests take 20 minutes each and pay $10 each via PayPal. Like any other market research, how many websites you can product-test depends on how your demographic background lines up with the target user of the site. Great compensation. The rate of pay per test is a great return on investment. User-friendly. The site and software are super easy to use, even if you’re not very tech savvy. This site is very similar to UserTesting.com. Users are paid $10 per assessment (the same rate) and do similar work testing websites. However, Erli Bird also tests for app and hardware bugs. They boast having 130,000+ users and have been around since 2012. After you sign up for an account, you can expect to be included in up to 5 tests per month. The usual caveats apply regarding how frequently you’ll get called up to participate depending on what demographics they’re looking for. You’ll receive your payment via PayPal seven days after the project is completed. No gift cards, just cash. I like that payments are dispersed quickly and electronically via PayPal so you don’t have to wait around for a check to come in the mail. Emphasis on quality. Erli Bird prides itself on collecting quality feedback for the software companies that hire them. The higher quality your assessments, the more opportunities you’ll receive. Erli Bird is very transparent about what users can expect. None of the opportunities on this list are meant to replace a job, and they’re very upfront about that. They say you can expect to receive up to 5 or more opportunities per month, but some months you may not receive any. You can get paid to test products from a wide range of companies. Product testing is a fun way to make extra money on the side. You get rewarded for your opinion and have an influence on the products and services companies sell. If you’re good at spotting website errors, enjoy trying new products and services, or simply want to get paid to review products, we recommend checking out any or all of the opportunities above. Good luck and have with your product testing! Thanks so much for putting this list together! I’ve been interested in becoming a product tester on the side. This was really helpful. I’m genuinely interested in testing products in my home. How do I get started? Each site has very specific instructions on how they want/need users to sign up so unfortunately there’s no “one size fits all” approach. Peruse the list and see if any of the sites interest you and then click-through to learn more about their specific registration requirements! Each panel is a little different, so I’d check with each one first. Doesn’t hurt to try! I have a senior citizens discount website and I would like to partner with companies to offer product testing to seniors. Can you help me? Hey Betty — unfortunately we don’t have that sort of pull with some of the companies we work with — you’ll probably have better luck reaching out directly to the product testing companies themselves. Hello I’m Tracy, I have Rheumatoid Arthritis and Fibromyalgia. I am looking to test products and give full reports on how the product worked and how they would help cleaning and cooking easier for individuals like myself. 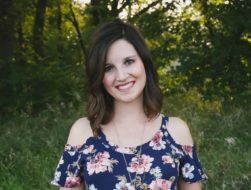 Jenny Weg is a new mom and blogger over at JennyWeg.com who uses her blog to bring in extra money for her family. Here’s how she does it, and how you can follow her lead to build your own profitable blog.